The ERM Basic risk management system from Opture is is an intuitive and modular upgradeable risk management software for beginners. By mapping the complete RM process, the risk manager can gain a comprehensive picture of the risk situation and the risk profile of the entire company and its entities, supported by an individually configurable reporting system. 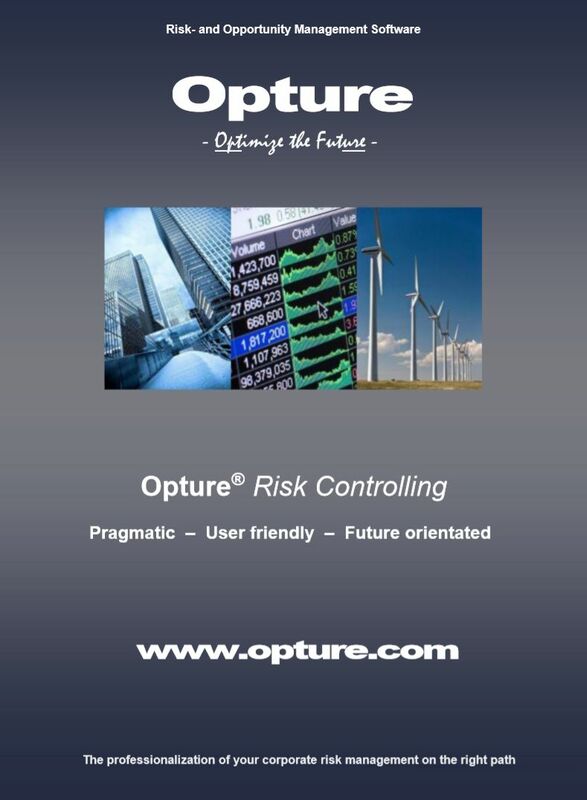 The ERM Advanced risk management system from Opture is based on the ERM Basic risk management system. It also includes a scenario generator and Monte Carlo simulator, which correctly aggregates all risks horizontally and vertically with all correlations. A complete income statement can be calculated and reported in a risk-adjusted manner, as well as all Risk-Return-Positions. The Opture GRC software is an integrated system that combines risk management, ICS and compliance. This means that the processes of all three subject areas are consistently synchronized, despite content-related and process-related differences, and calculate a total risk exposure. 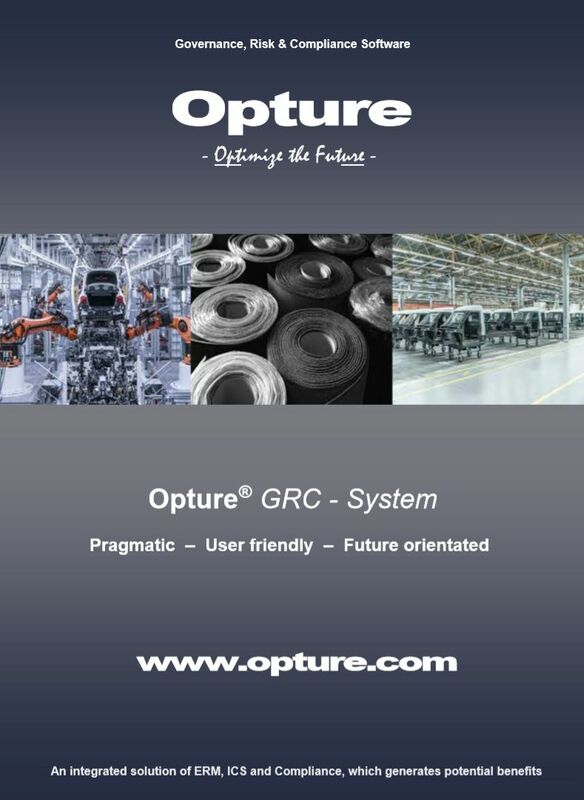 Opture GRC contains not 3 independent systems, but only a 1 holistic and consistent application. 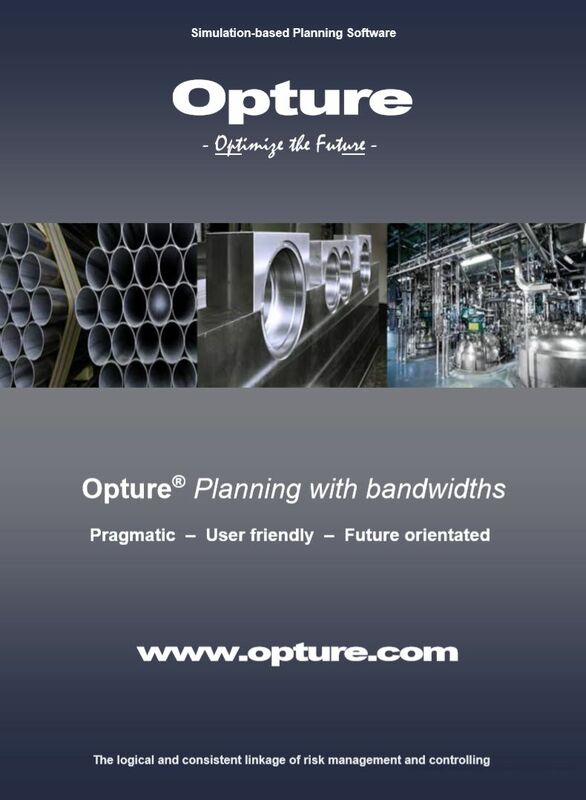 The Opture SBP system combines risk management and controlling / planning. All risks are related and simulated in relation to the complete P&L statement. All risk figures are calculated per P&L-position (= bandwidth planning), with the goal of knowing the sensitivities, identifying the stability of the planning or the company against market fluctuations and determine corresponding efficiently steering. 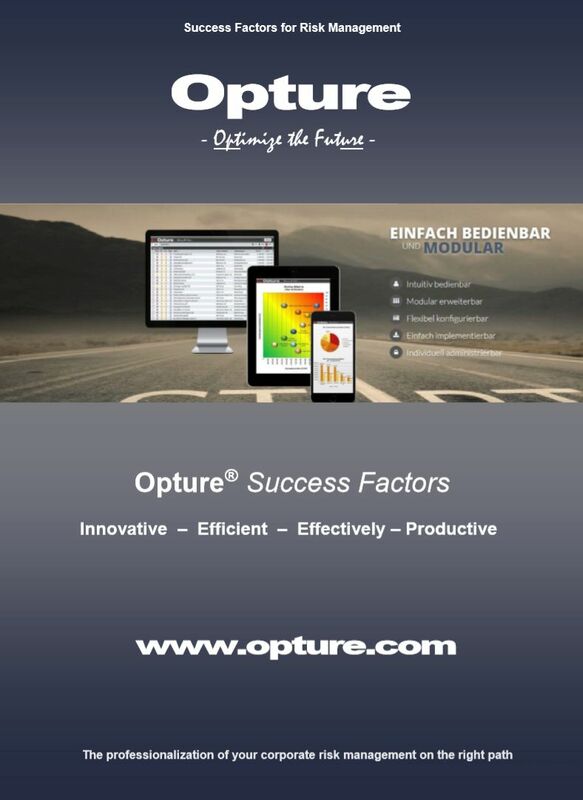 Opture AG is a leading software provider in the area of corporate risk management systems. The company was founded in 2002 as a spin-off company of a consulting firm that also operates in risk management. Our success is based on consequent customer orientation and technology leadership (innovations, models, methods). We support our customers to develop and optimize their risk management. 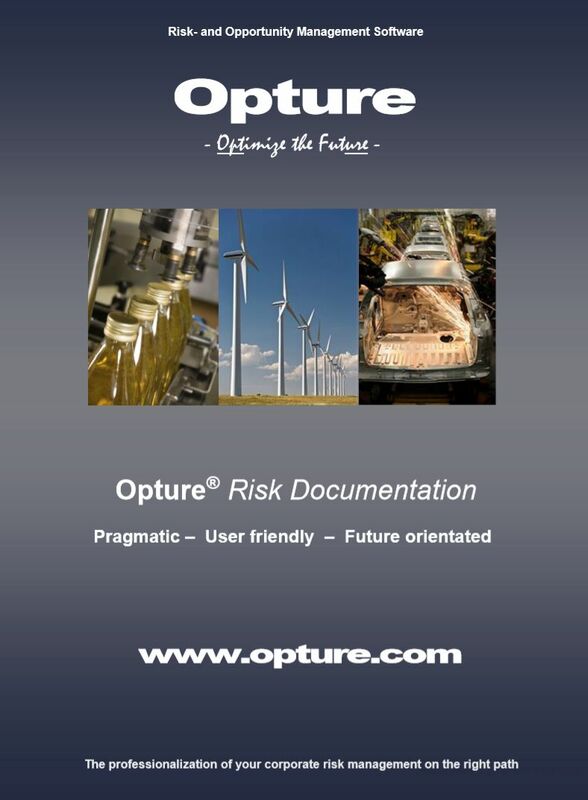 The Product Portfolio from Opture contains system solutions for all topics of risk management: Enterprise Risk Management (ERM), Governance, Risk & Compliance (GRC), Simulation-based Planning (SBP), Funds Risk Management (AIFM). We also offer special software solutions for Financial institutions, Insurance companies, Supply Chain RM, Strategic RM and Project RM. 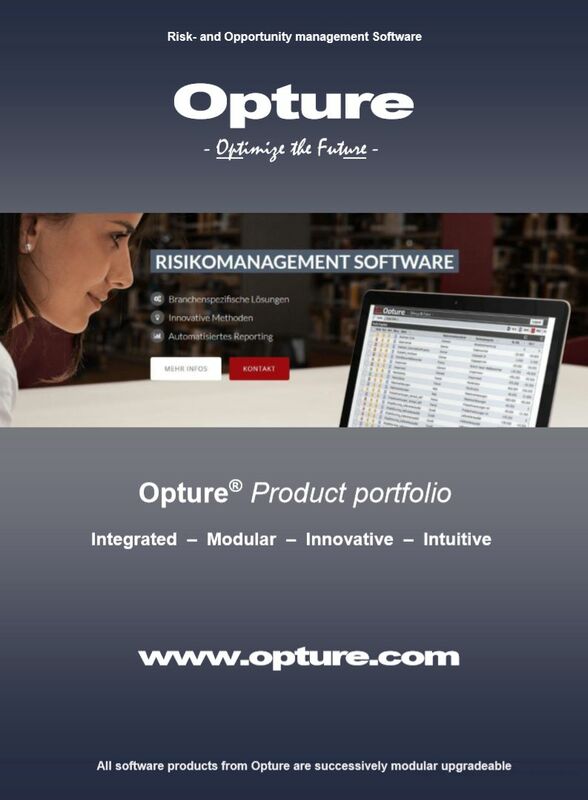 The Catalog of Requirements developed by Opture presents all the relevant content, functionalities and features of risk management software solutions for implementation of efficient and professional risk management systems, under consideration of customer-specific or individual development stages / maturity levels. The catalog also shows the degree of fulfillment of each Opture ERM software product. Innovative and professional Risk Management Models and Methods will be presented, that are essential for calculating correct risk results and deriving efficient control measures, as well as increasing data input and output quality. Thus, e.g. 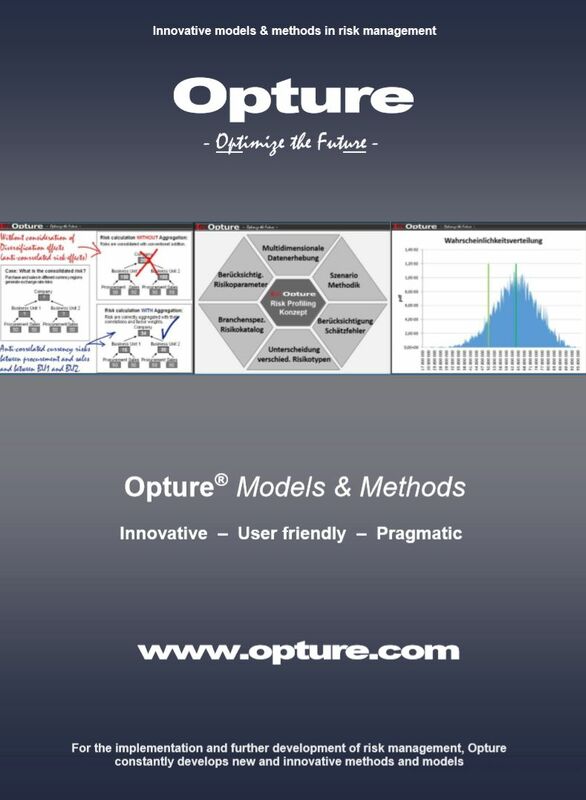 the "risk profiling concept" developed by Opture and the "risk driver concept" has a significant impact on data quality and employee acceptance. The experience of our consultants from practice shows that the consideration of some Success Factors (such as communication, data quality, software quality, expertise, efficiency) in the implementation and further development of risk management has a significant positive impact on acceptance within the company and establishes risk management as a steering and management tool. Based on real case studies of our customers (anonymous), we have defined a best practice approach for each process step in risk management. This practice-based approach can be used as a benchmark or as an interesting starting point for further development or optimization of your own risk management. The message must contain more than 30 letters. 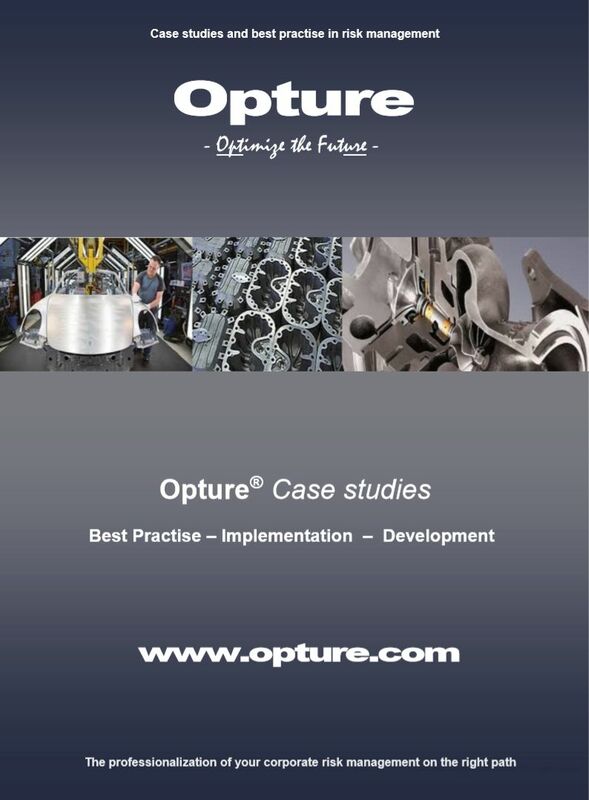 OPTURE AG is one of the leading providers of professional risk management software for industrial companies in Europe. © Copyright 2019 by OPTURE AG. All rights reserved. 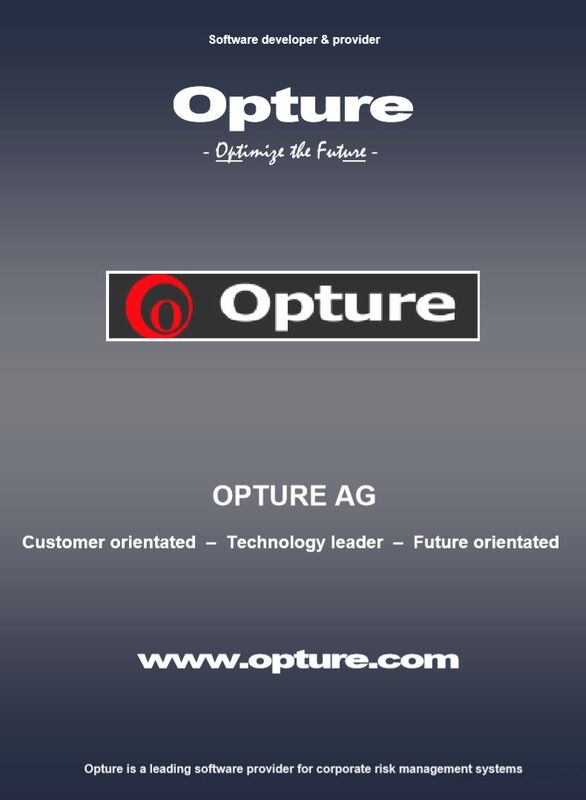 By using the website you declare your consent to the terms-and-conditions of OPTURE AG.